so may your good fortune always bloom. Lisa was lovely, smart, and elegant. 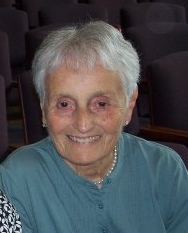 She worked as a nurse, both in private practice and in the Public Health Service. I learned at her funeral service yesterday that she was an avid bridge player, even devising a way to play after arthritis made it impossible for her to hold the cards. She loved to swim, and did so regularly at the pool in her community until not very long ago. When I was researching my book, Lisa freely shared memories of her childhood in Germany with me. After The Year of Goodbyes was published last spring, I was honored to have her attend our book party, which is when the photograph you see above was taken. Lisa was small of stature and thin, but something about her was very strong. I'm starting to realize that this may have misled me into viewing her as fairly indestructible, even at age 84. Naive me. I am so very sorry that she's gone. Here is Lisa's obituary in The Washington Post. with all kinds of flowers. for a captivating world worth watching. Learn more about Jackie and her many books for children at http://www.jacquelinejules.com/. Going through some old scrapbooks recently, my mother and I found an article she wrote for her high school newspaper, the Roosevelt Reporter of Roosevelt High School in Washington, D.C. 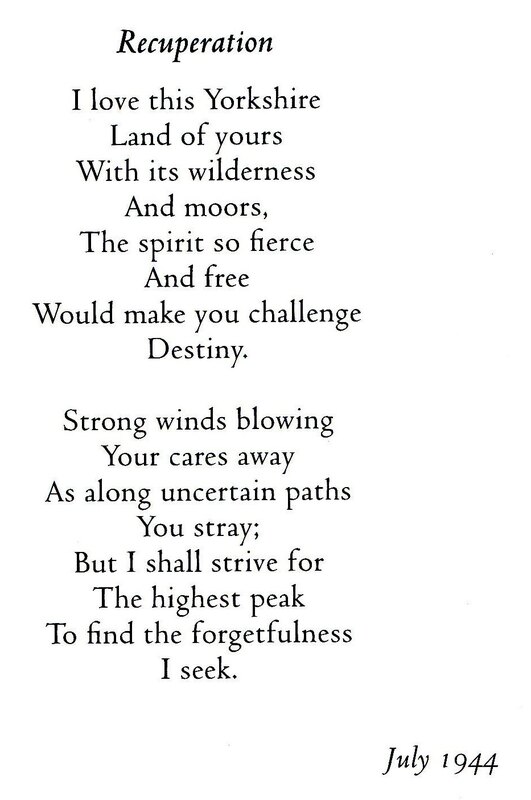 It's undated, but I believe it's from 1942, when she was 16--four years after she arrived here in this country, four years after the events described in The Year of Goodbyes. Entitled "American - And Glad of It!" 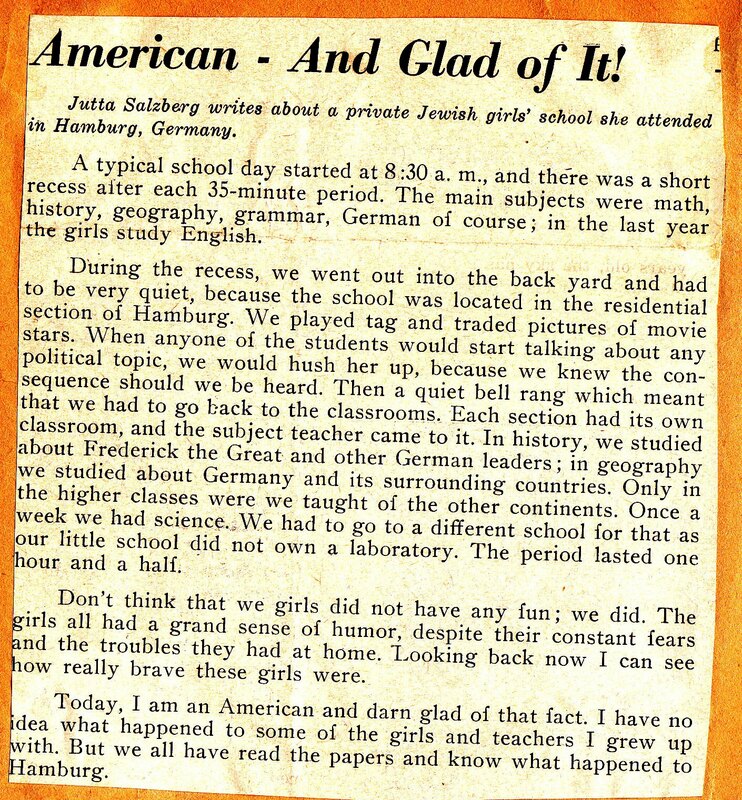 the piece briefly describes a "typical" day in the all-Jewish school she attended back in Nazi Germany. I was particularly struck by the consistency between the descriptions in her article and the descriptions she gave me more than 65 years later when I was interviewing her for The Year of Goodbyes. What a memory! Plus, then as now, she was relentlessly upbeat: "Don't think that we girls did not have any fun; we did," she wrote. "The girls all had a grand sense of humor, despite their constant fears. . . ."
So have a look, below. 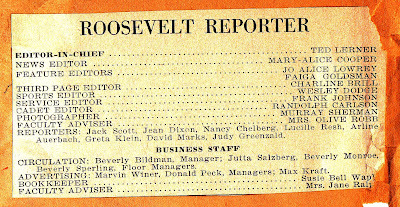 And, for Washingtonians and fans of the Washington Nationals baseball team, I'm also posting the staff box from that high school newspaper. 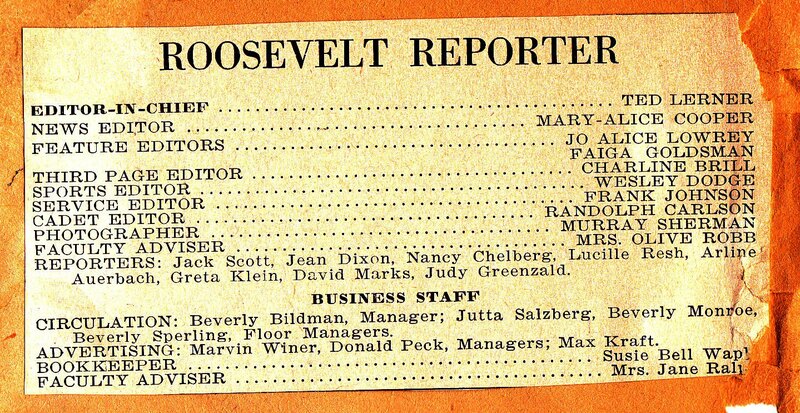 There's my mother, then Jutta Salzberg, listed as a member of the Circulation staff, and who's that as editor-in-chief of the Roosevelt Reporter? Ted Lerner. Celia Lee (born Celia Horwitz) was a classmate of my mother's in the mid-1930s at the Jewish School for Girls in Hamburg, Germany. Around the same time that my mother, Jutta Salzberg, emigrated to the United States, Celia left Germany for England. Both girls were twelve years old at the time. 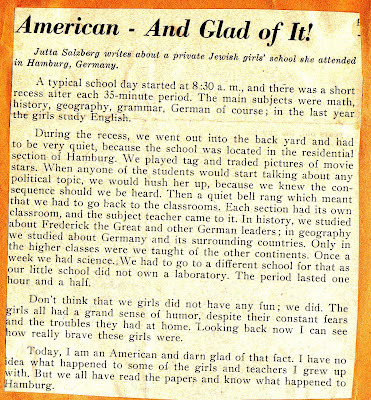 More than sixty years later, Celia and Jutta were reunited in Washington, D.C., along with five other Hamburg classmates. 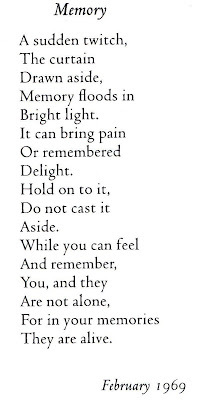 (More about this on pages 113-114 of The Year of Goodbyes). Celia still lives in England. She shared with me her poetry book, Thoughts and Dreams (Erskine Press 1999), and has graciously allowed me to reprint two of her poems here. Celia wrote Recuperation when she was eighteen years old﻿. To me, the sense of a teenage girl aching for all she left behind, yet determined to let her new home heal her and to build her new life, is powerful. 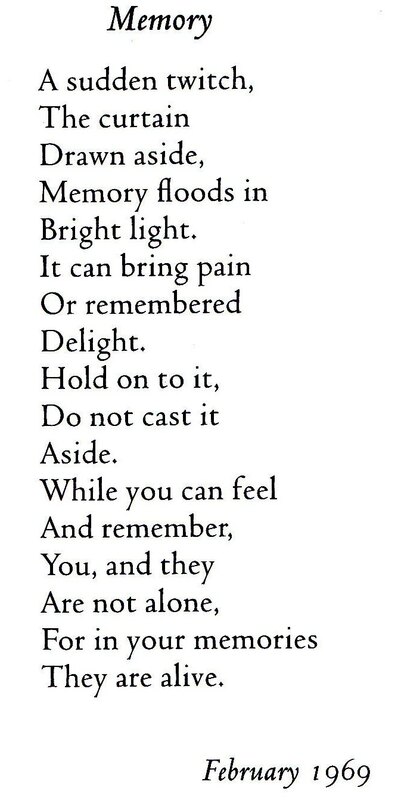 The following poem, Memory, was written more than two decades later, when Celia was forty-three. Last month, I spent two days at the Holton-Arms School in Bethesda, Maryland. After a middle school assembly about The Year of Goodbyes, I visited with five seventh-grade English classes. We used the poesiealbum as a springboard for talking about writing memories and creating your own histories. We debated whether poesiealbum entries are, in some ways, ancestors of Facebook, MySpace, Twitter, and other social media. We talked about the value of writing something meaningful and enduring but also brief enough to be written and read quickly. And then, the students wrote their own "poesies," responding to writing prompts like the ones found under the Create tab on this website. Here are some of the their pages. for this earth we can try and rearrange. Hatred is a kind of wasted energy. An action shown too much. Different is not bad, just unfamiliar. Something different can teach a lot. that provides the motivation for trying. As I walked home from school, I knew it was late. I stopped at Ciochka’s house in the hopes of receiving a special treat. 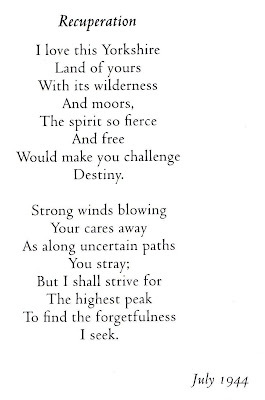 I was 13 years old, it was 1941, and I did not heed my mother’s words. If I had, would I have missed the Germans’ open transport truck filled with people I knew? But the truck had room for one skinny Catholic Polish girl from Chelm. I wonder what my life would have been, if only I did not tarry too long. Mamushka was waiting. . . . This entry is from Irene Tomczak Yeates of Saratoga Springs, New York. 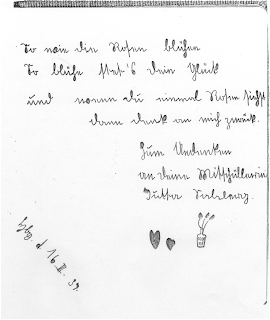 Irene is writing in the voice of her mother, Stefania, who was a young Catholic girl living in German-occupied Poland in 1941, during World War II. On the day described in this entry, Stefania stopped to see her aunt (her “Ciochka”) on her way home from school. She knew her mother wanted her to come straight home--but on this day, she didn't obey. Then, as Stefania set out again to continue her walk home, she was intercepted by the German truck and ordered aboard. The truck transported Stefania and the other passengers out of their hometown of Chelm to Germany. Stefania never saw her mother and father again. My mother never revealed the name of the village in Germany where she was taken. 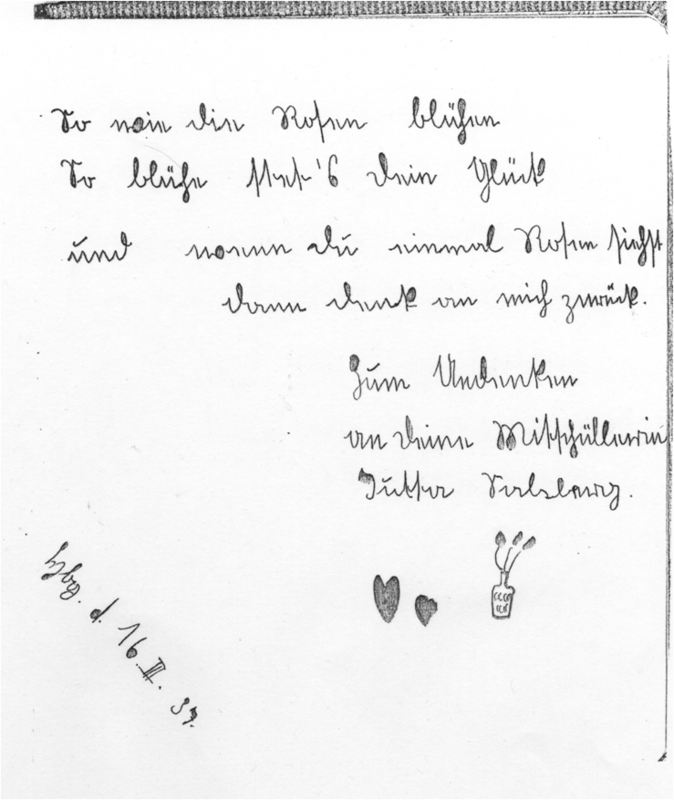 She was fortunate to be a laborer in a Reich household as caretaker to the officer’s mother. It was a large house with acreage. He had raised Lipizzaner horses before the war. While my mother lived in the house, other laborers lived in the barn. She slept on a cot in the kitchen, and her primary duty was the care of “Oma.” However, she performed any household duties relegated to her. The officer was married, and his wife and children lived in the house. Other laborers performed more demanding household chores, such as cleaning, laundry, cooking, etc. After the war, Stefania was released from her forced labor and lived in Displacement Persons (DP) camps for six years. DP camps were temporary, often dreary, temporary living quarters for hundreds of thousands of Europeans, including many orphaned children, who were uprooted by the Holocaust and the war. 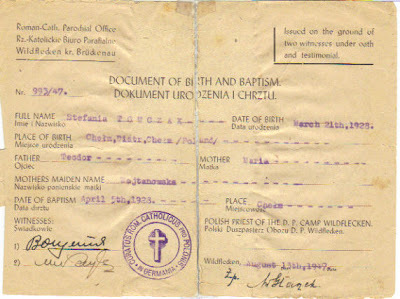 Stefania met her first husband and had two children born in the DP camps--including Irene Tomczak Yeates. In 1951, just before her fourth birthday, Irene immigrated to the United States, along with her brother and their mother Stefania. 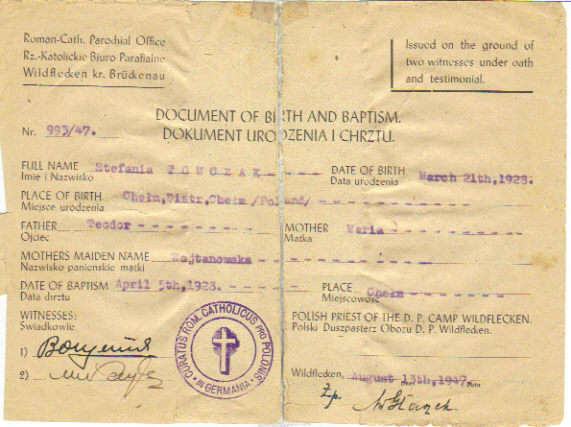 This is Stefania’s birth and baptism document. 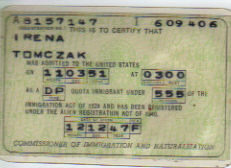 This is Irene’s “green card”—a card that documents her arrival in the U.S. as a legal immigrant in 1951.